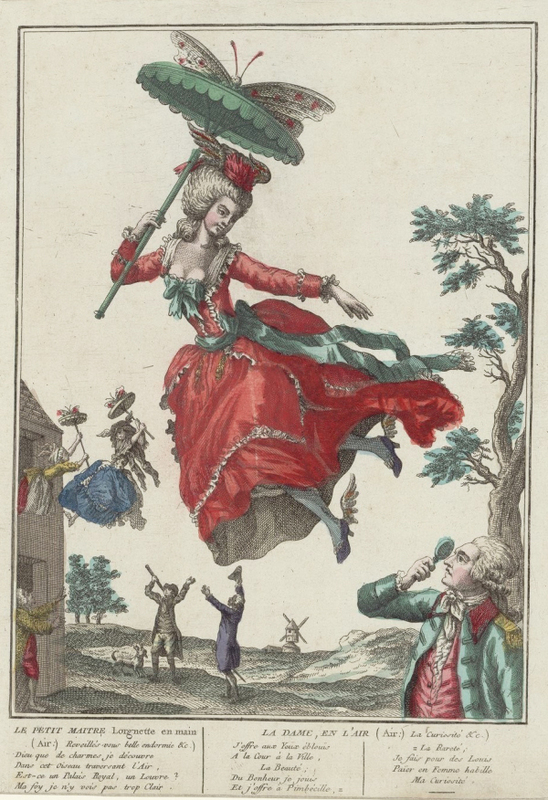 Le petit-maître et la dame en l’air, engraving, c.1780 (source: Bibliothèque Nationale de France). France is a light-hearted nation… This classical common belief is echoed repeatedly throughout the eighteenth century and bears witness to the deep axiological, scientific and ethical upheavals which this volume explores. By analysing the importance of, and issues at stake in, these transformations, the articles gathered within tell the story of another age of Enlightenment: the story of an age of lightness. Lightness is at the crux of how the French eighteenth century represents itself both in contrast with previous centuries and through parallels between European nations. The notion of lightness therefore constitutes an essential paradigm of the historiography that developed immediately after the French Revolution. The intellectual heirs of the eighteenth century do not only find in this period an age of reason, progress, Enlightenment and citizens’ rights; they also feel, at times, contempt, at other times, nostalgia for the alleged lightness of its mores, the futility of its taste or the frivolity of its childish ways. Between the industrious bourgeoisie of the nineteenth century exploiting the voluptuous representations of fêtes galantes and the fascination of our own twenty-first century for the delightful frivolity of Marie-Antoinette’s era, the eighteenth century in its lightness has never lost its charm. Yet, crucially, it also challenges the progressive narrative of the history of reason and usefulness in the definition of the very values on which our community is built. (Attr. 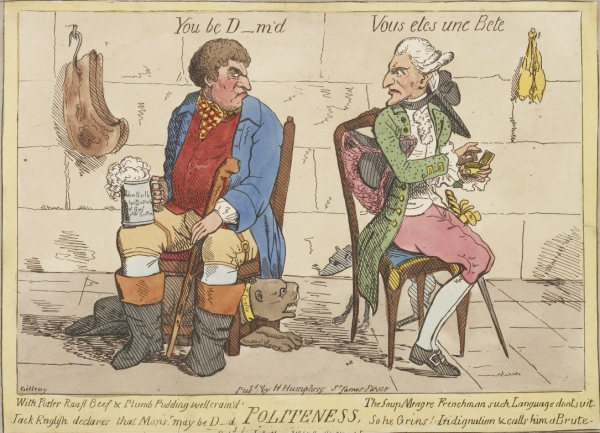 to James Gillray), Politeness, c.1779, hand-coloured engraving (source: the Trustees of the British Museum). It is therefore particularly revealing to analyse the concepts and values associated to the notion of lightness in the eighteenth century. Such an approach yields breakthroughs in understanding why, and to what extent, this idea of lightness has been related to the French national character in general as well as, more particularly, to its eighteenth century. Le Siècle de la légèreté: émergences d’un paradigme du XVIIIe siècle français offers an interdisciplinary perspective that bridges multiple fields of study related to the question of lightness. The fifteen chapters deal with paintings, morals, sciences, political history, literature and technology as well as economics. Together, these articles reveal the complexity of the notion of lightness in the eighteenth century by proposing not only new and original analyses of well-known sources (Hogarth, Fontenelle or Voltaire) but also discoveries of texts and objects less often studied (such as La Morlière, le Père Castel, Octave Uzanne, carriages or perfumes). 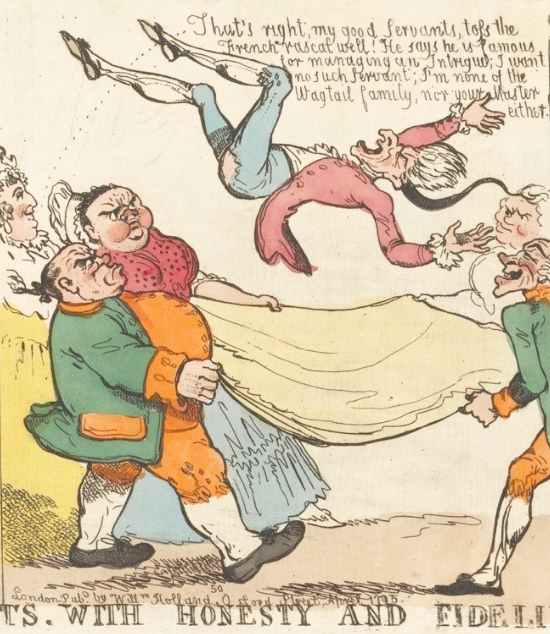 Richard Newton, British servants with Honesty and Fidelity against French servants with Perfidy & Impudence (detail), 1795, hand-coloured etching (source: Yale Center for British Art, Paul Mellon Collection). The critical and historiographical approach taken by this collection challenges preconceived notions and other prejudices, and unveils the national, diplomatic and at times existential concerns which contributed to the construction of the representations of eighteenth-century France. Far from proposing yet another traditional thematic approach, this volume offers the analysis of an endogenous and problematic paradigm around which multiple visions of humanity and of the world are articulated; it aims to offer a contribution to the renewal of eighteenth-century studies. Whilst it transforms how we look at a key moment in the construction of modernity, it also lays bare the sources of the fascination exerted by the French eighteenth century. The above post is reblogged from Liverpool University Press. 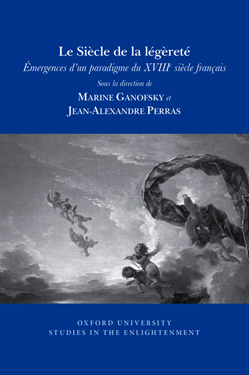 Marine Ganofsky and Jean-Alexandre Perras are co-editors of ‘Le Siècle de la légèreté: émergences d’un paradigme du XVIIIe siècle français’, the April volume of Oxford University Studies in the Enlightenment. I am the editor and developer of several academic resources, including the award-winning Eighteenth Century Poetry Archive (currently English-language poetry only) and the Thomas Gray Archive. My interest in working with multilingual materials was sparked by part of this resource: ‘Gray’s Elegy in Translation’. 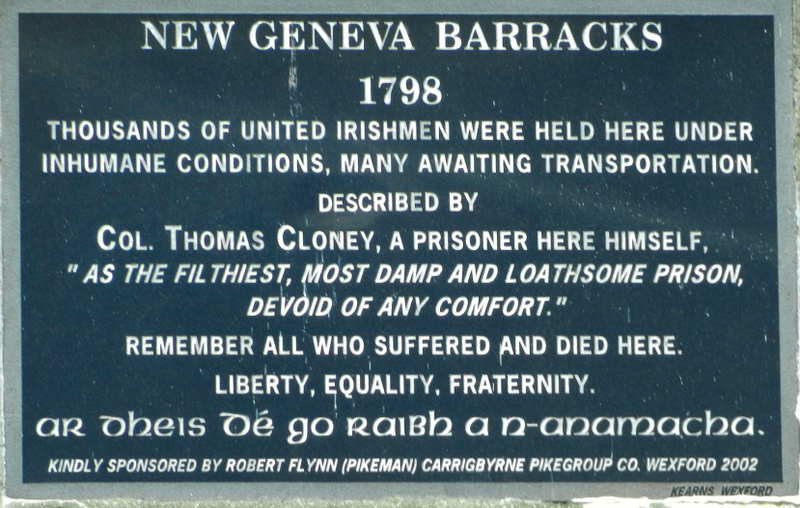 According to the Digital Miscellanies Index (DMI), Thomas Gray’s ‘Elegy Written in a Country-Churchyard’ (1751) is the most anthologized poem of the eighteenth century, and it is one of the most widely and frequently translated, paraphrased, and imitated poems in the English language. With to date at least 266 translations into at least forty languages, the Elegy has inspired translators ever since the earliest translations into Latin appeared in the early 1760s. Since those early translations, the Elegy has been influential in the history of many national literatures, particularly in the context of the evolution of European Romanticism. Drawing on the extensive collection of Elegy translations compiled by Tom Turk,(1) the purpose of the project is firstly to enable the study of the evolution of translations of the poem in a single language and culture, and secondly to allow for a comparative study of the translations across languages and literatures, initially within, but ultimately beyond European boundaries. The first phase of the project covers the period up to 1805, comprising fifty-seven verse and prose translations of the Elegy in eleven languages (Danish, French, German, Italian, Latin, Polish, Portuguese, Russian, Spanish, Swedish, and Welsh). The translations variably highlight changes in the understanding and interpretation of Gray’s poem, reflect cultural borrowings and transfers, betray changes in literary taste, and may even allow us to uncover the circumstances, agency, and purpose of their production in the first place. Thanks to James D. Garrison’s outstanding work,(2) we have a sense of the national context of Gray’s significance in both France and Italy, but for many other European and particularly non-European languages, these histories remain to be written. I would love to gain a better understanding from practitioners on which avenues to pursue (linguistic, stylistic, semantic etc.) 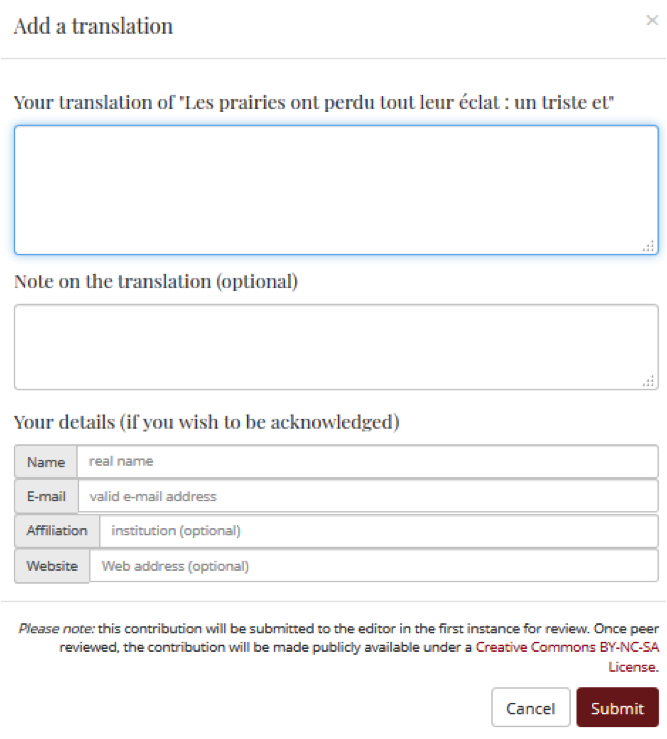 for both the enhanced mark-up of the translations and the development of tools (and/or integration of external services, such as dictionaries/thesauri) to provide via the interface. 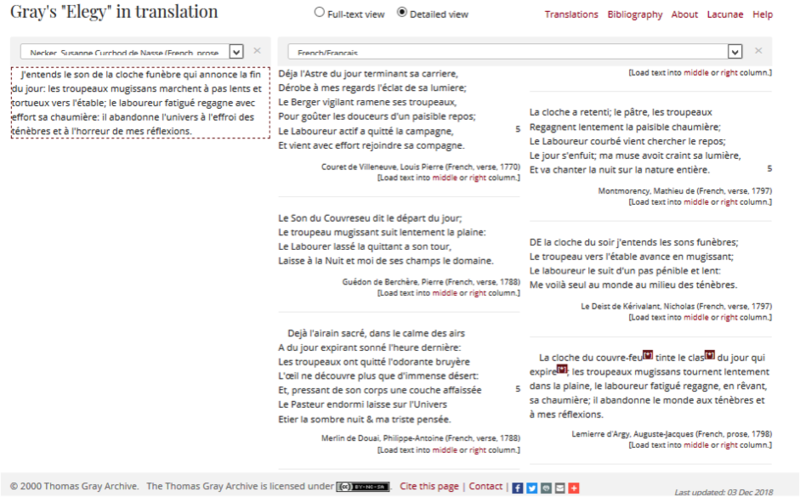 Having caught the multilingual bug, I am also very keen to expand another resource of which I am editor, the Eighteenth Century Poetry Archive (already mentioned above), to include poems in other languages, along with tools for their analysis. Anyone reading this who might be interested in contributing to this endeavour, please get in touch! I hope you will have a chance to explore the translations, and would love to hear about your experience with the current interface and any changes, improvements, or additions you would like to see in the future. If you can see the potential for any of the techniques mentioned to be applied in the Taylor Editions website, then I would be very happy to explore this further. Please do not hesitate to contact me with your feedback. (1) Thomas N. Turk, ‘Search and Rescue: An Annotated Checklist of Translations of Gray’s Elegy’, Translation and Literature 22(1) (Spring 2013): 45-73. (2) James D. Garrison, A Dangerous Liberty (Newark, University of Delaware, 2009). Garrison covers a wide range of languages, with particular emphasis on French and Italian, and to a lesser extent German, Russian and Spanish. Il faut commencer par un peu de publicité négative. Pourquoi ne pas le dire? Les Annales de l’Empire, dont la Voltaire Foundation va publier une admirable édition en trois volumes, ne sont guère représentatives de la création voltairienne. Peu lues et jamais rééditées en dehors des collections d’œuvres complètes de l’écrivain, elles ne portent sa marque que par des aspects mineurs. Au cœur de la conception de l’Histoire dont Voltaire s’est fait le pionnier, on sait que figure l’étude des mœurs et des civilisations, comme l’illustre son livre majeur dans ce domaine, l’Essai sur les mœurs et l’esprit des nations. 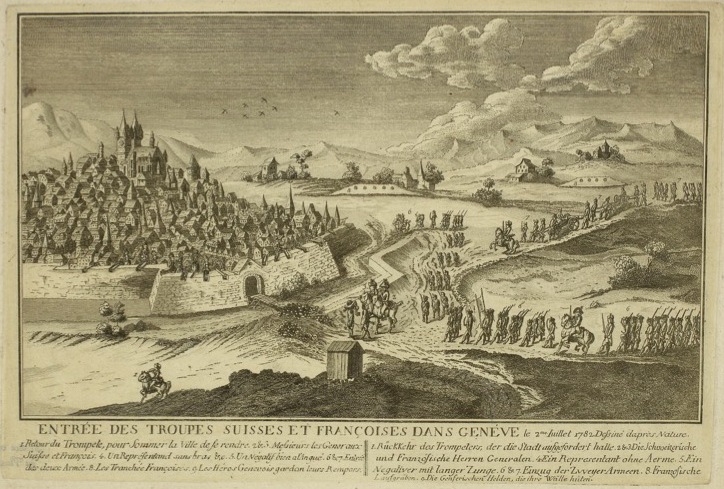 Or Les Annales de l’Empire présentent un résumé de l’histoire de l’Allemagne, ou plus précisément de l’empire romain germanique, de Charlemagne jusqu’à Charles VI mort en 1740. Ce résumé est constitué d’une longue suite de brefs chapitres dont chacun est consacré à un règne. Les informations biographiques, dynastiques et militaires en font presque toute la matière. Le texte reprend, souvent mot pour mot, en les abrégeant, les historiens qui faisaient alors autorité, ou des formules de l’Essai sur les mœurs composé dans la même période. Comme le montre la riche introduction de Gérard Laudin, la part du secrétaire de Voltaire, Collini, dans l’élaboration du livre est importante. 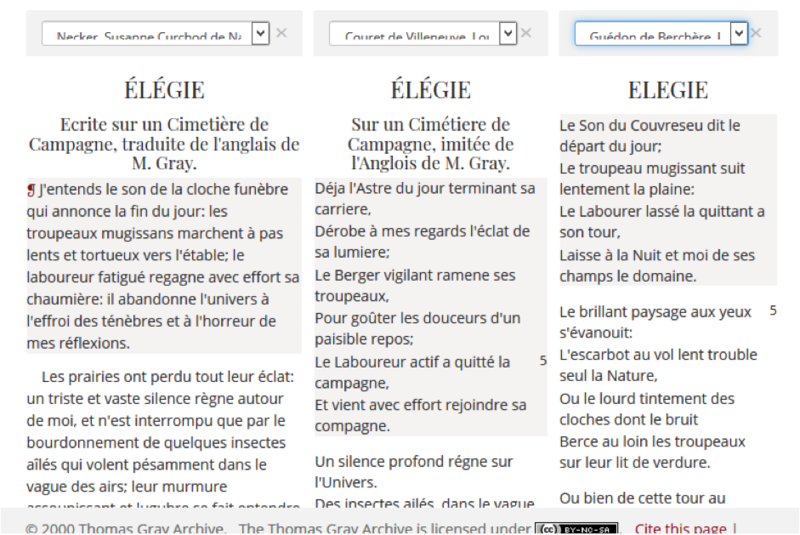 Le style s’appauvrit parfois jusqu’à l’ellipse, dans des phrases nominales qui ressemblent aux lignes d’un sommaire. Bref, il s’agit d’une œuvre peu personnelle, que l’auteur lui-même juge trop «sèche» pour «plaire en France» (lettre à d’Argental, du 24 novembre 1753). Ce caractère est accentué par une annexe chronologique et, dès le début, par un résumé méthodique en vers de tous les chapitres qui peut paraître bizarre à des lecteurs du XXIe siècle, mais qui accentuait, pour des lecteurs du XVIIIe siècle, la nature pédagogique de l’ensemble. Ce qu’on appelait alors les «vers techniques» faisait partie des moyens utilisés dans les collèges, et les professeurs de Voltaire à Louis-le-Grand en composaient pour fixer dates et événements dans la mémoire de leurs élèves. Toutes ces particularités s’expliquent par l’origine de l’ouvrage: il s’agit d’un travail de commande, payé 1000 écus d’argent, entrepris pour satisfaire aux «ordres sacrés» de la duchesse régnante de Saxe-Gotha-Altenburg, dont la bienveillance était très précieuse pour Voltaire, et qui voulait que la jeunesse allemande disposât d’un manuel commode pour apprendre l’histoire de son pays. Voltaire parle de cette vaste mais modeste entreprise sans enthousiasme: «un temps de ma vie perdu» (lettre à d’Argental, du 24 novembre 1753). Les lecteurs qui vont se plonger dans la nouvelle édition des Annales ne vont pourtant pas perdre leur propre temps. Car le diable se cache dans les détails. Les interventions de l’écrivain dans la sèche succession des souverains, de leurs mariages, de leurs campagnes, de leurs assassinats n’occupent que peu de place, mais elles sont savoureuses. Le plus souvent, elles consistent en réflexions sceptiques sur la réalité des faits ou leur interprétation par la tradition historique («c’est ainsi qu’on écrivait autrefois l’histoire», chap. 32). Parfois l’esprit critique teinte le récit d’humour pince sans rire: en 1377, «Charles IV, âgé de soixante-quatre ans, entreprend de faire le voyage de Paris, et on ajoute que c’était pour avoir la consolation de voir le roi de France Charles V, qu’il aimait tendrement, et la raison de cette tendresse pour un roi qu’il n’avait jamais vu, était qu’il avait épousé autrefois une de ses tantes» (chap. 33). La fréquentation des historiens érudits, ses sources dans un domaine qu’il découvre, suscite chez Voltaire la moquerie, mais aussi l’indignation, quand la vérité est tordue pour des intérêts dynastiques. «L’Histoire est-elle un factum d’avocat où l’on amplifie les avantages et où l’on tait les humiliations?» (ibid.). Mais la verve voltairienne trouve une autre matière dans l’histoire de l’Empire: c’est l’occasion de faire l’histoire des papes, en raison du rôle, controversé, de la papauté dans le choix et le sacre des empereurs. Les Annales consacrent une large place à la désignation, à la personne et à la conduite des occupants du trône de Pierre: on se doute que Voltaire ne manque pas une occasion de souligner tous les scandales qui marquent dans ce domaine les siècles troublés dont il fait l’histoire, et qui ont fait coexister des antipapes, des faux-papes et des papes indignes. Par exemple, en 1409, écrit-il, «il était assez difficile de savoir de quel côté était le Saint-Esprit» (chap. 35). Les occasions ne lui manquent pas de dénoncer les bases dérisoires du pouvoir pontifical, comme quand s’en empare un Jean XXIII dont il dit: «c’était un soldat sans mœurs, mais enfin c’était un pape canoniquement élu» (chap. 35). Le choix des épisodes les plus pittoresques ou les plus scabreux, les réflexions ironiques font de cette histoire de la papauté l’ingrédient le plus savoureux, peut-être, d’un texte où on ne l’attend pas. Mais ce texte à visée pédagogique, en première apparence neutre et tout factuel, recèle d’autres attraits que vont découvrir les lecteurs de la nouvelle édition: le survol de tant de siècles, de tant de royaumes, de tant de guerres, de tant de dynasties, les silhouettes fugitives de tant de héros et de tant de misérables, tant de renversements de pouvoir, tant d’échecs, tant de réussites, tant de villes fondées, fortifiées, ornées, brûlées, rasées ont inspiré à l’auteur des annales de multiples et fascinantes réflexions sur la destinée des hommes et des peuples. Il s’interroge à la fin du livre sur le bonheur qu’ont pu connaître les maîtres successifs de l’Empire, et il n’en voit guère; tout au long des événements qui se pressent de page en page, il s’interroge sur le droit naturel qui se dégage de tant de lois successives et contradictoires, sur la base solide sur laquelle on pourrait se fonder pour échapper à l’arbitraire des droits qu’impose la force et qui sont factices: «Le temps change les droits» (chap. 33). Il croit distinguer que ce «droit naturel» tient à «la possession d’une terre qu’on cultive» (chap. 37), qu’il exige à l’origine au moins l’élection des souverains, et la conclusion d’«un vrai contrat passé entre le roi et son peuple» (ibid. ), seul moyen de sortir du désordre et des violences de la féodalité. Il se réjouit d’une étape supérieure de la civilisation, qui est le développement des échanges grâce aux villes dont il suit toujours avec sympathie le développement et la conquête des libertés. Enfin les derniers siècles font entrer l’Allemagne dans la modernité. Un rayon d’optimisme traverse ainsi le sombre tableau d’une civilisation imprégnée de barbarie et longtemps agitée de mouvements absurdes, sur lequel Voltaire nous invite, aujourd’hui encore, pour en supporter les horreurs, à poser un regard critique. Lettre à la duchesse, du 23 février 1754. Just as the print edition of the Œuvres Complètes de Voltaire is fast approaching its completion, we at the Voltaire Foundation are starting work on two new, highly ambitious digital projects thanks to the generosity of the Andrew W. Mellon Foundation: a digital edition of Voltaire’s works based on the Œuvres complètes (Digital Voltaire), and a born-digital edition of the works of Paul-Henri Thiry d’Holbach (Digital d’Holbach). With a view to gaining the necessary skills required to begin my work on Digital d’Holbach, in autumn 2018 I attended an intensive course on digital editions run by the Taylorian Institution Library. Taught by Emma Huber in collaboration with Frank Egerton and Johanneke Sytsema, the course takes students through all the phases of the digital edition workflow, from transcription to publication and dissemination. 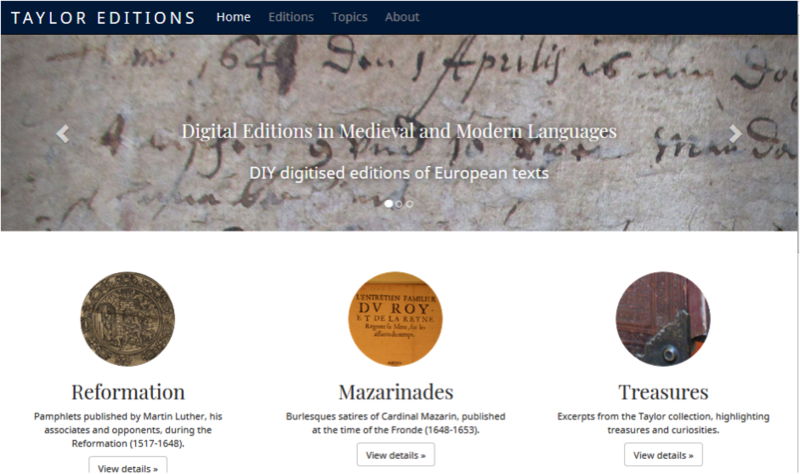 It is a goal-focused, hands-on course during which students are warmly encouraged to create a born-digital edition of a short text from the Taylorian’s collections. Although short and apparently light in tone, the piece that I chose to edit – Voltaire’s Dialogue entre un brahmane et un jésuite sur la nécessité et l’enchaînement des choses – is a key text in the evolution of Voltaire’s philosophical views. As the title suggests, the Dialogue hinges on the question of determinism (or fatalisme, in eighteenth-century French parlance) and touches on such crucial notions as moral freedom, causation, and the problem of evil. 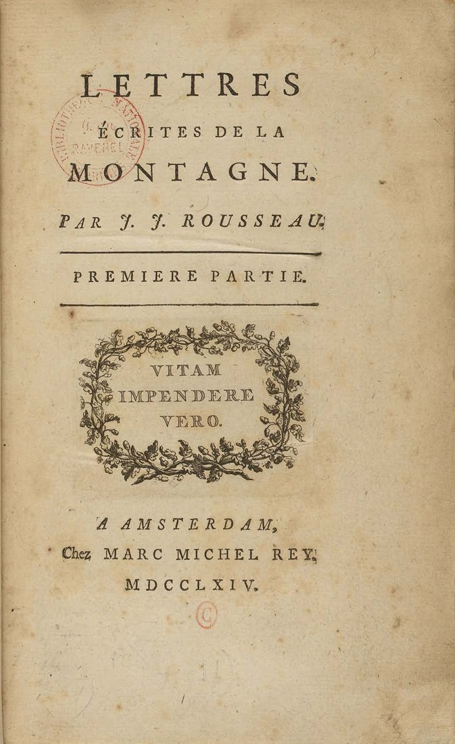 It was first published anonymously in the Abeille du Parnasse of 5 February 1752, and it then went through several reprints during Voltaire’s lifetime, with very few variants. My edition of the Dialogue is of course not meant to replace the one already available in OCV. Rather, it was conceived to meet the needs of the broader public – and more specifically those of students. A very short introduction, displayed on the right-hand side, provides essential information on the philosophical issues at stake while situating the Dialogue in relation to other key texts by Voltaire. An original translation into English by Kelsey Rubin-Detlev makes the text more widely accessible, allowing students working in fields other than modern languages (e.g. philosophy) to engage with Voltaire’s ideas. High-quality pictures of the 1756 edition, which provides the base text, aim to give non-specialists a taste of what it feels like to leaf through a (dusty) eighteenth-century book. 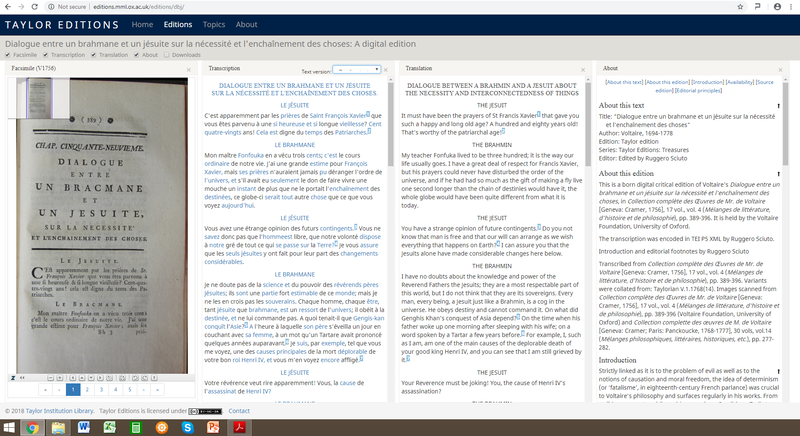 Finally, a modernised version of the text is available next to the facsimile, and a rich corpus of annotations – displaying in both the French transcription and the English translation and featuring links to several other digital resources (the ARTFL Encyclopédie and Tout Voltaire, but also Wikipedia and BibleGateway!) – aims to render the reading experience as informative and rewarding as possible. But there is more to this edition than first meets the eye! For example, by clicking on ‘Downloads’ in the menu bar, a fifth column will appear from which the user is invited to download pictures as well as TEI/XML files, which can then be used as models to generate further digital editions. 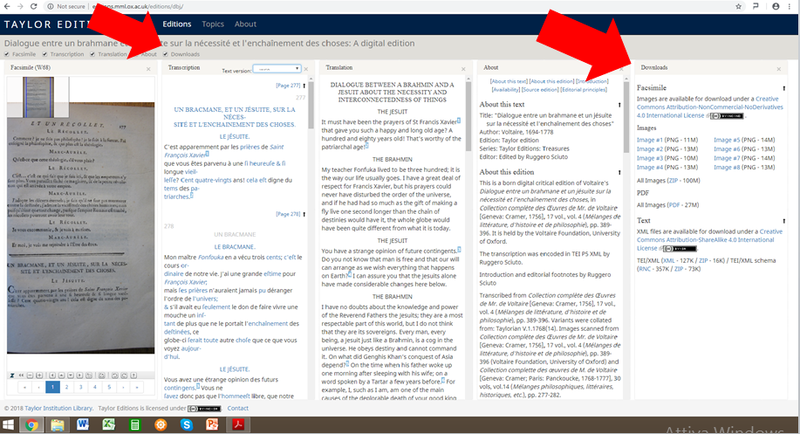 Also, a drop-down menu in the transcription column allows users to choose between two different versions of the text in addition to the modernised version displayed by default: a diplomatic transcription of the 1756 edition and a diplomatic transcription of a 1768 edition, which comes with its own set of images that are also available for download under a Creative Commons Licence. By looking at these texts, users will get a sense of how radically French spelling evolved in the mid-eighteenth century. Readers of this blog are most cordially invited to browse my edition. Any feedback on content or presentation (e.g. the way footnotes or variants are displayed) would be greatly appreciated as I work towards an edition of a considerably longer text by d’Holbach. But more on that in the coming months! There has rarely been a better time to write about skepticism than the current so-called post-truth era. Recent debates over fake news, alternative facts, and the role of expertise in public policy have shaken the United States, Europe, and the world. Contemporary pundits and political demagogues often play the skeptic in an attempt to sway popular opinion and fuel nascent populist movements. By questioning how we know what we know, whether we can know anything with certainty, or whether any source or testimony can be fully trustworthy, these figures seek to undermine the basic shared assumptions of liberal societies. The Skeptical Enlightenment is the March 2019 volume of the Oxford University Studies in the Enlightenment series. The use (and arguably abuse) of skepticism raises troubling questions, but they are neither new nor peculiar to the present. They harken back to previous crises of certainty. Skepticism first emerged in the world of contentious philosophical debates of ancient Greece. There, the skeptics posed challenging arguments that offered an appealing alternative to dogmatic schools of thought that claimed to offer true and certain claims about the surrounding world. The skeptics, by contrast, called for a suspension of judgement on all questions and insisted that we could know nothing with certainty – not even the proposition that we could know nothing with certainty! The most radical articulation of skepticism, known as Pyrrhonism, was revived in early modern Europe during the Reformation and reached its peak popularity in the early 1700s. Through these debates about truth and certainty, seventeenth- and eighteenth-century thinkers first came to articulate our modern understanding of rationality – one that used a limited skepticism about what was known and knowable to arrive at useful understandings of nature and of human affairs. This volume of essays provides a timely explanation of how Enlightenment thinkers successfully grappled with the challenges posed by an earlier crisis of philosophical confidence. We dispute popular and commonplace narratives that continue to depict the Enlightenment as an unalloyed Age of Reason when Europeans boasted an unbounded confidence in the powers of human understanding. Instead, the essays in this collection depict a complicated, variegated, and entangled Enlightenment culture to which skepticism was far more central than anyone thought. We build on recent scholarship to show how eighteenth-century responses to powerful skeptical arguments led thinkers to redefine reason, moderate its ambitions, and turn toward morally and socially useful ends. Philosophers no longer considered rationality an innate or nearly infallible faculty. Instead, they accepted the fallibility of human understanding, the limitations of individual experiences, and the need to interrogate one’s assumptions. Such a reorientation made the cultivation of a healthy and limited skepticism indispensable to the improvement of the human condition, and it placed education at the forefront of Enlightenment theories of progress. Recognizing the limits of human understanding in philosophical and theological questions also increasingly led thinkers to accept religious toleration. Contrary to what one might expect, critics of organized religion and those who championed faith against reason both embraced skeptical doubt. In a further irony, notable opponents of skepticism emerged from amongst those who tried to defend the rational foundations of belief. Many of the essays in this collection thus examine the persistence of religious belief in the Enlightenment while untangling the complex interactions between religion and philosophy in this period. We suggest that rethinking the central place of skepticism in eighteenth-century learned culture provides important insights into the most vital concerns faced by the intellectuals of this period. Indeed, skeptical doubts were pervasive in various fields of knowledge, including not only epistemology and metaphysics, but also history, jurisprudence, theology, and political thought. Essays in this volume therefore highlight how debates between the skeptics and their opponents helped inform the modern evidentiary foundations of these fields and disciplines. We explain how notions such as probability and common sense emerged as bulwarks against skeptical critiques. Examining the ways in which Enlightenment thinkers struggled with fundamental questions about truth and certainty invites us to consider how best to grapple with similar challenges in our current ‘post-truth’ moment. 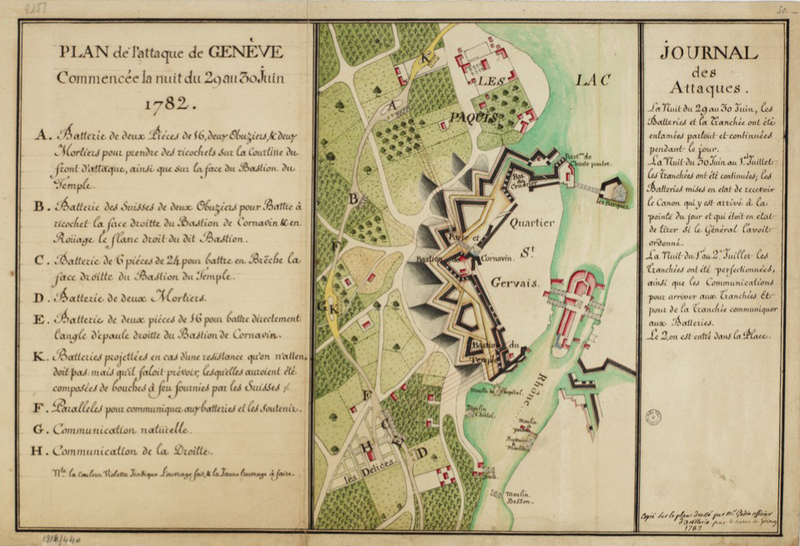 While the historical contexts are vastly different, important similarities nevertheless exist between the present and the eighteenth-century skeptical crisis. Then as now, various economic uncertainties, the proliferation of new forms of media, and new technologies all combine to create the sense that the real world might not be as it appears. Then as now, some answers can be found in a reexamination of the fundamental assumptions and truths that may no longer be as self-evident as we might think. Then as now, the ability to grapple with these questions has profound moral and political implications. This study of the Skeptical Enlightenment reminds us that fake news and the self-interested machinations of the powerful are powerless against a healthy dose of skepticism deployed in the service of humanity. The above post is reblogged from Liverpool University Press. 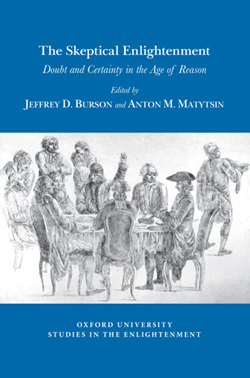 Anton M. Matytsin and Jeffrey D. Burson are co-editors of the latest Oxford University Studies in the Enlightenment volume. 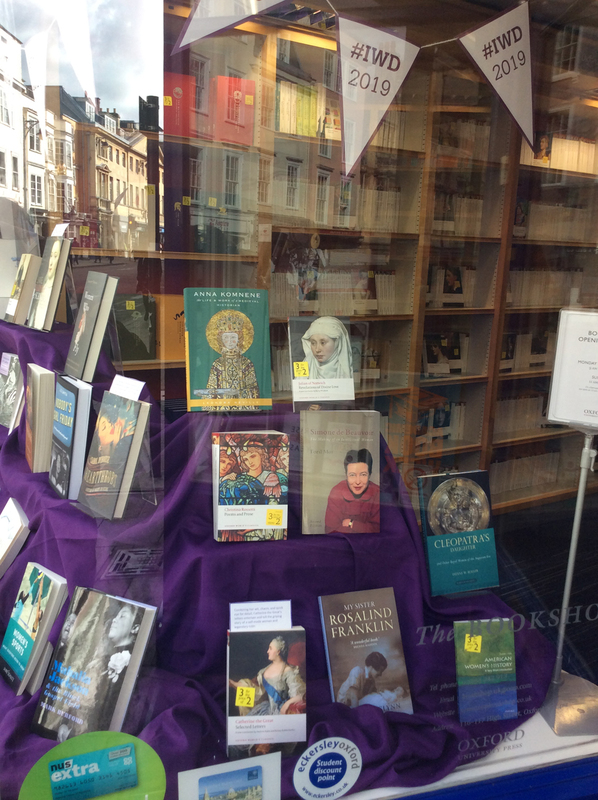 The OUP bookshop on Oxford’s High Street marks International Women’s Day 2019. While in the UK the eighth of March often passes unnoticed, International Women’s Day is a national holiday in Russia, on which women regularly expect flowers and other gifts from the men in their lives. This saccharine twenty-first-century custom is a far cry from the holiday’s revolutionary origins in Russia. Invented in the US in 1909 and established as an annual holiday by the Second International Conference of Women the following year, International Women’s Day was first marked in Russia in 1914. 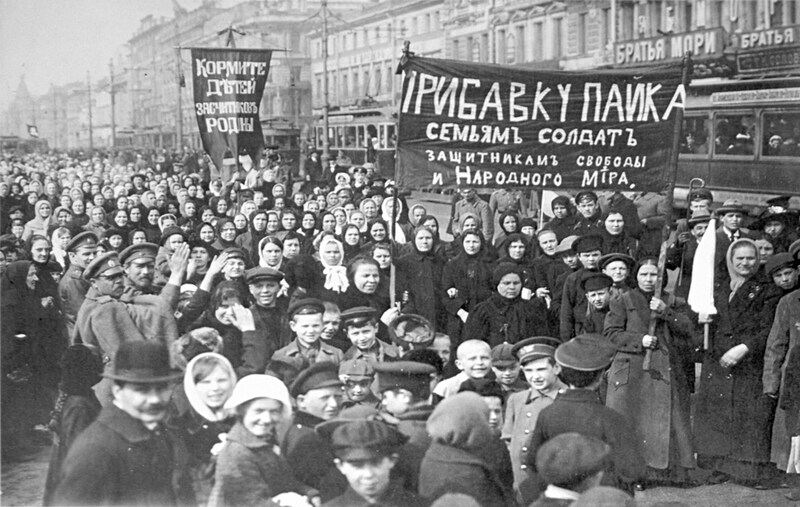 Only three years later, in 1917, women’s protests against food shortages on 8 March (23 February according to the Julian calendar then used in Russia) marked the start of the February Revolution, which brought down the Romanov dynasty and opened the door for the Bolshevik revolution later the same year. 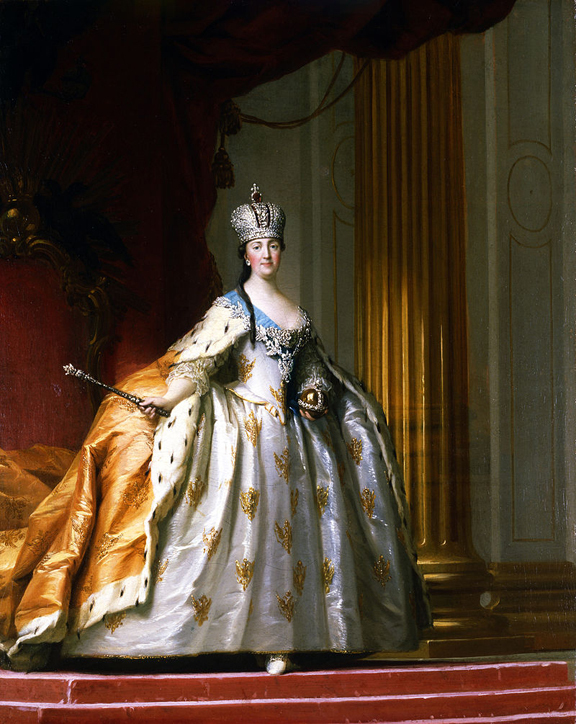 One of the many outstanding women in Russian history and perhaps the most powerful woman anywhere in the world in the eighteenth century, Catherine the Great would undoubtedly have been horrified by the Russian Revolution. But she might have had a bit more sympathy for the theme of this year’s Oxford International Women’s Festival (28 February-16 March 2019): ‘We Will Survive and Thrive’. Women demanding an increase in rations for soldiers’ families in Russia, February/March 1917. Catherine’s Selected Letters, translated and edited by Andrew Kahn (Oxford) and myself, recently appeared in the Oxford World’s Classics series, and tells in Catherine’s own words the story of how she learned to ‘survive and thrive’ in the perilous worlds of the Russian court and international politics in the eighteenth century. 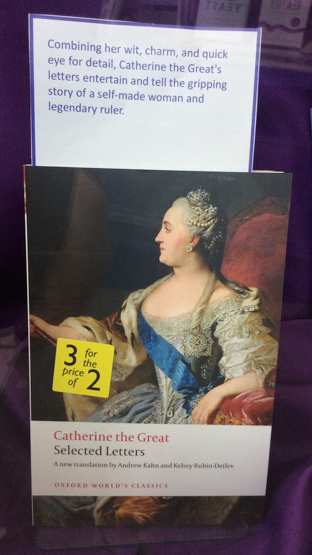 Catherine the Great’s Selected Letters in the OUP bookshop window, Oxford. Catherine the Great’s coronation, by Vigilius Eriksen. 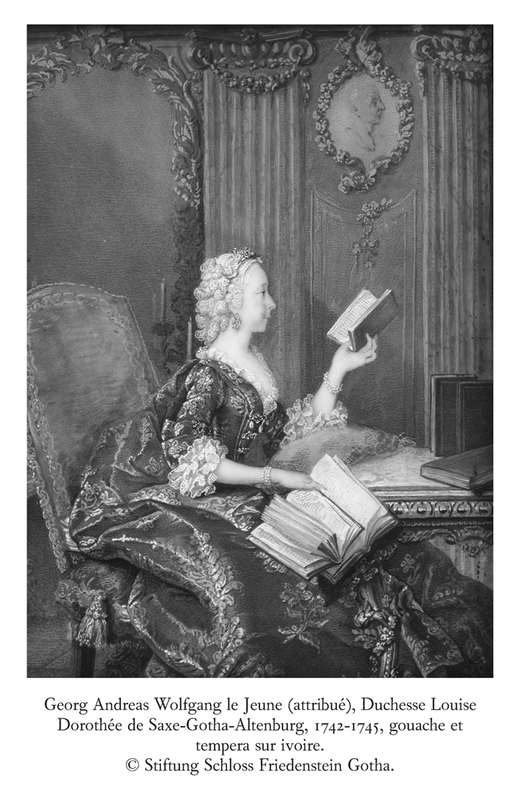 And then, in 1762, Catherine brought about her own revolution: a coup d’état overthrowing her husband, the recently acceded emperor (in the eighteenth century, any major political change was called a ‘revolution’). She still had an uphill battle to fight: not only was she unrelated by blood to the Romanov family, she had not been designated by the previous empress, Elizabeth, as the legitimate heir in accordance with Russian law. Many people expected Catherine to rule as regent for her young son, Paul, or to be overthrown too in short order. Instead she ruled for thirty-four years, acquiring unprecedented political and cultural clout for Russia and the epithet of ‘the Great’ for herself. If asked the secret to her survival and success she would point to her resilient and positive personality, dubbing herself the ‘Imperturbable One’, and telling an old family friend, ‘one must be cheerful. Only with that can one overcome and endure anything.’ Reading Catherine’s letters one can watch that personality in action, as she handled everything from diplomatic tangles to the challenges of grandmotherhood with pragmatism, good humour, and the will to survive and thrive. Kelsey Rubin-Detlev is assistant professor of Slavic Languages and Literatures at the University of Southern California. She is the author of ‘The Epistolary Art of Catherine the Great’.